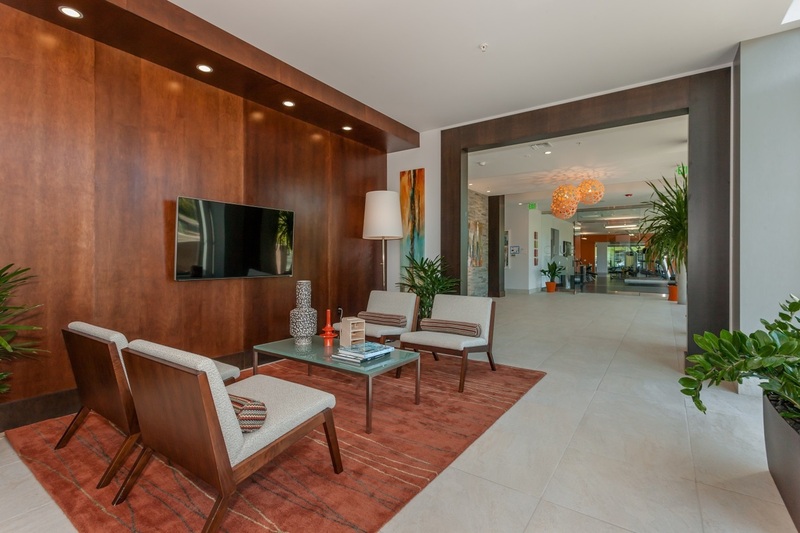 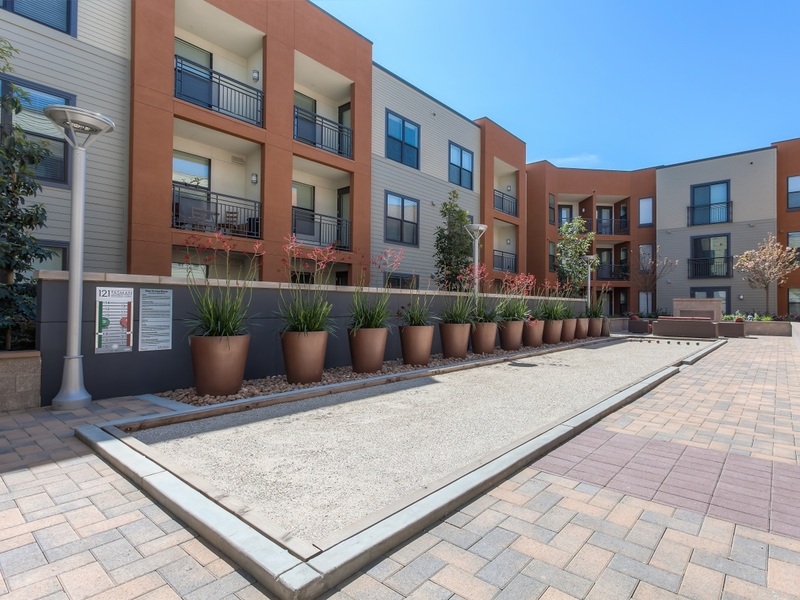 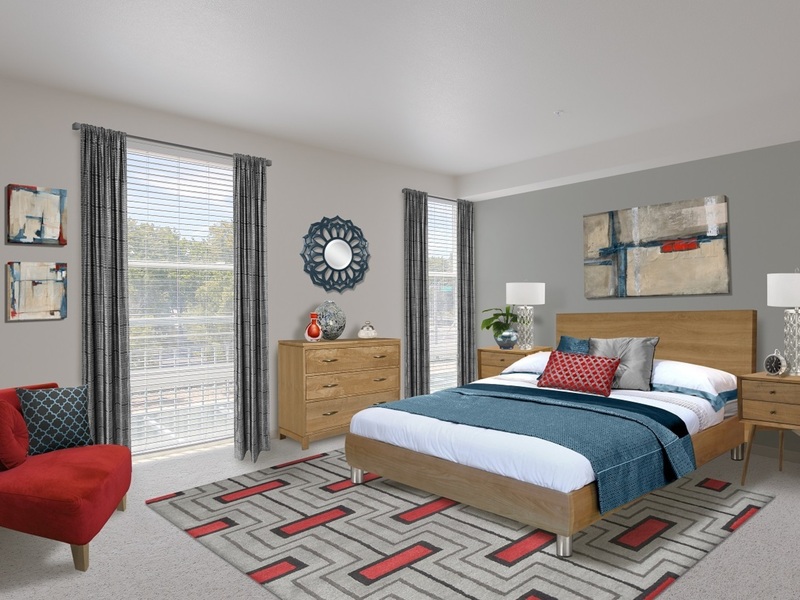 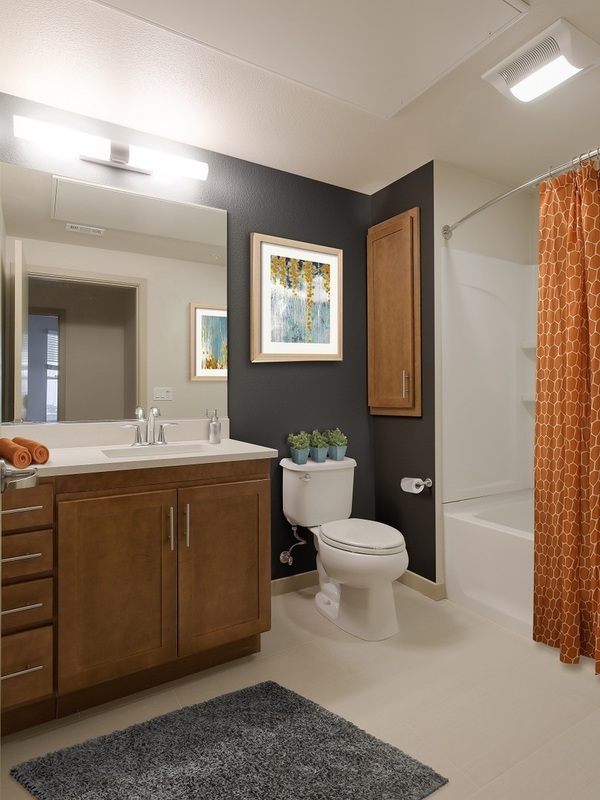 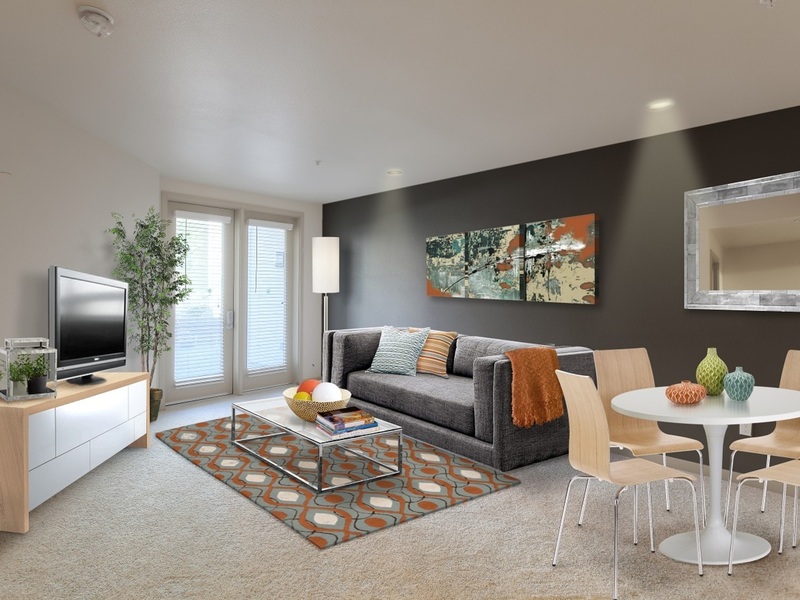 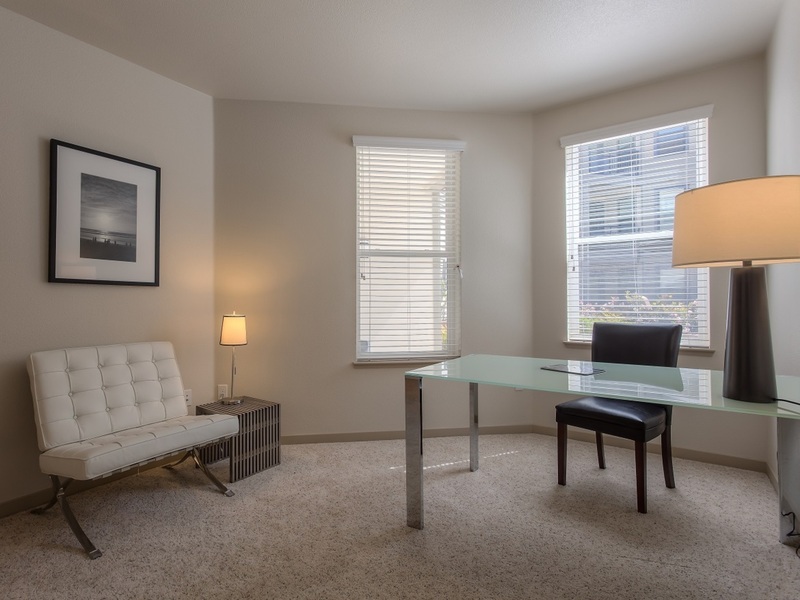 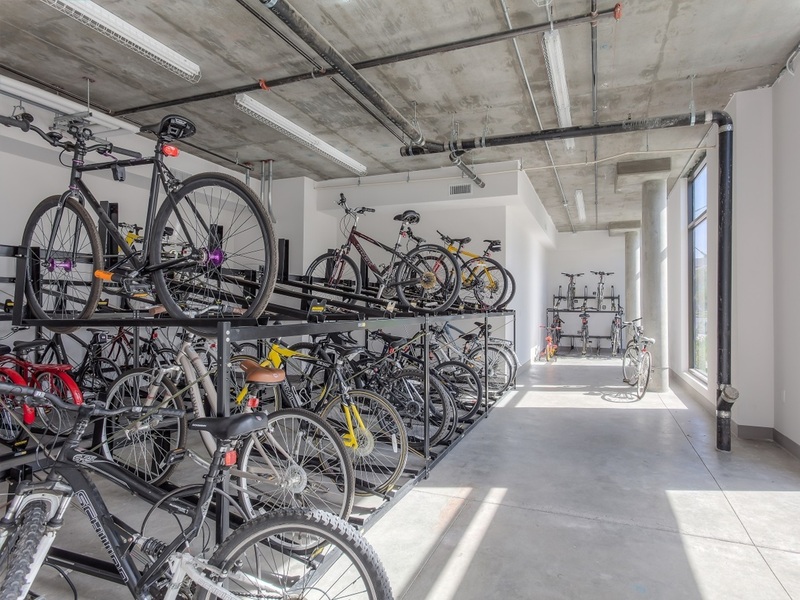 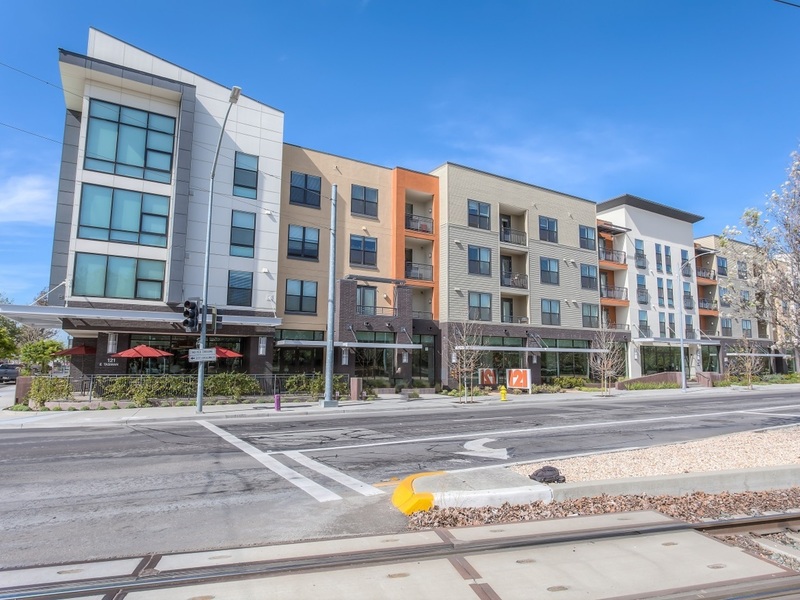 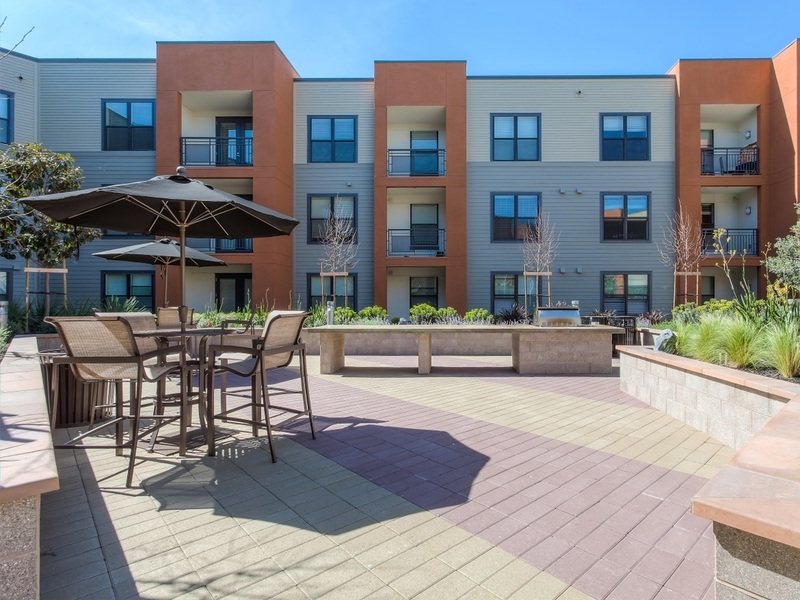 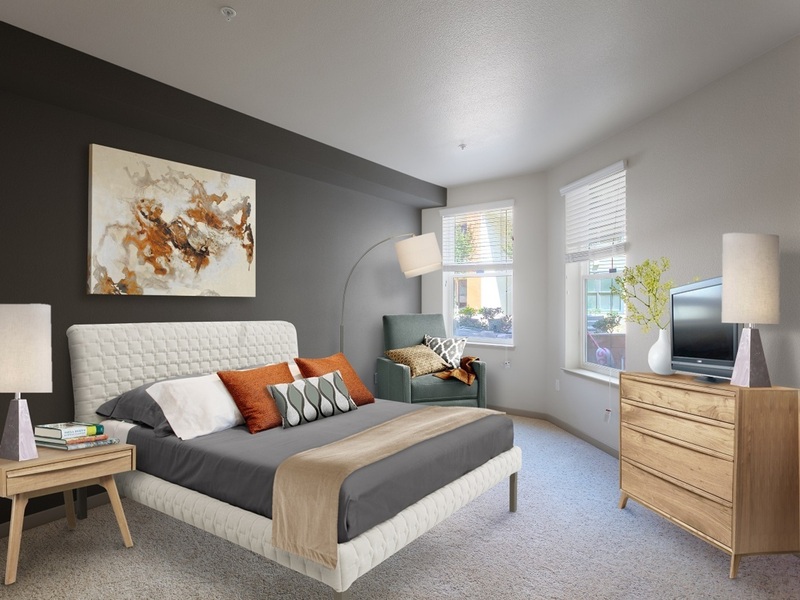 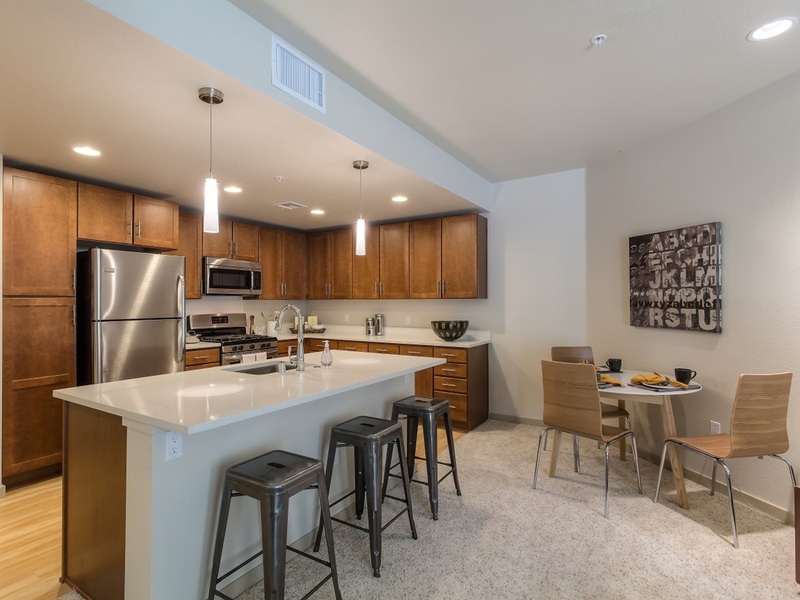 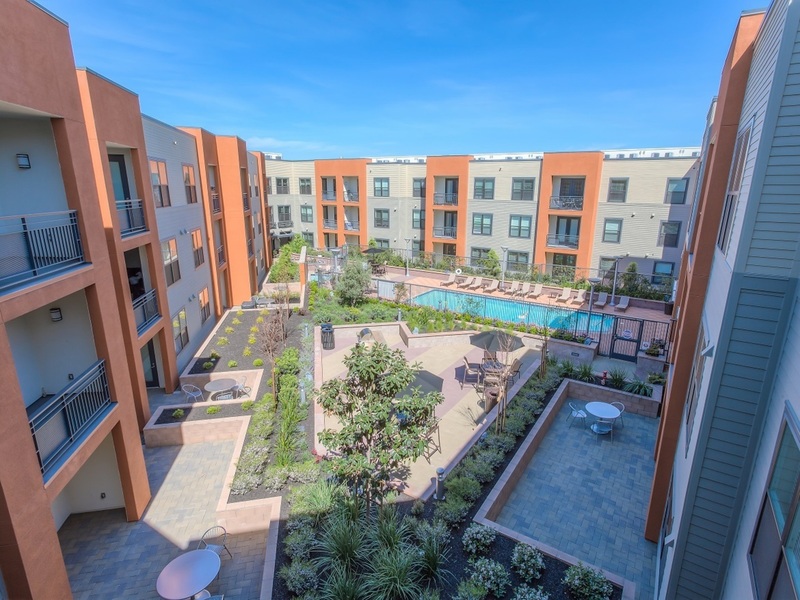 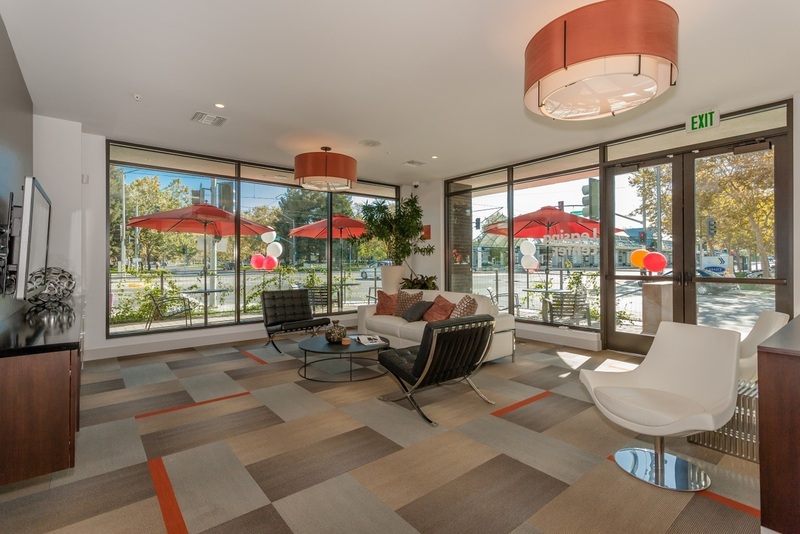 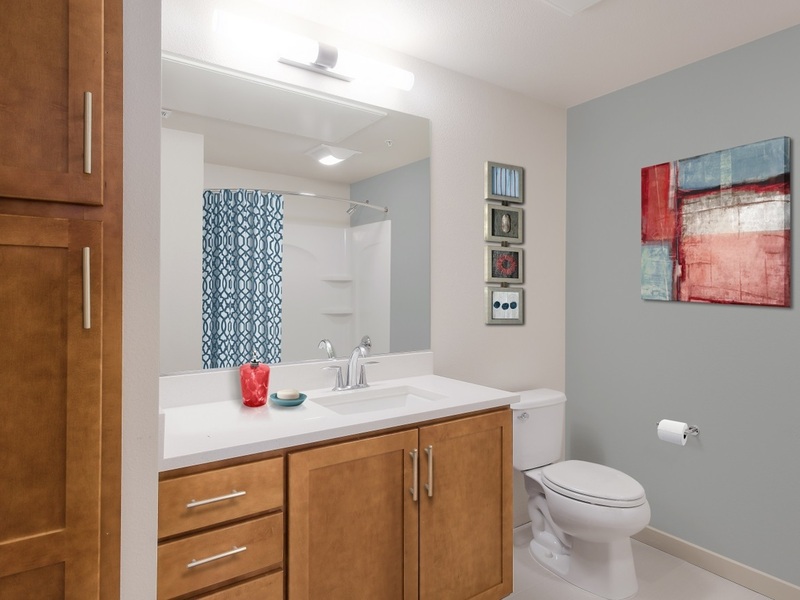 Take a glimpse at the conveniences and luxury that await you when you rent an apartment from 121 Tasman, a contemporary and stunning mid-rise community in San Jose, CA. 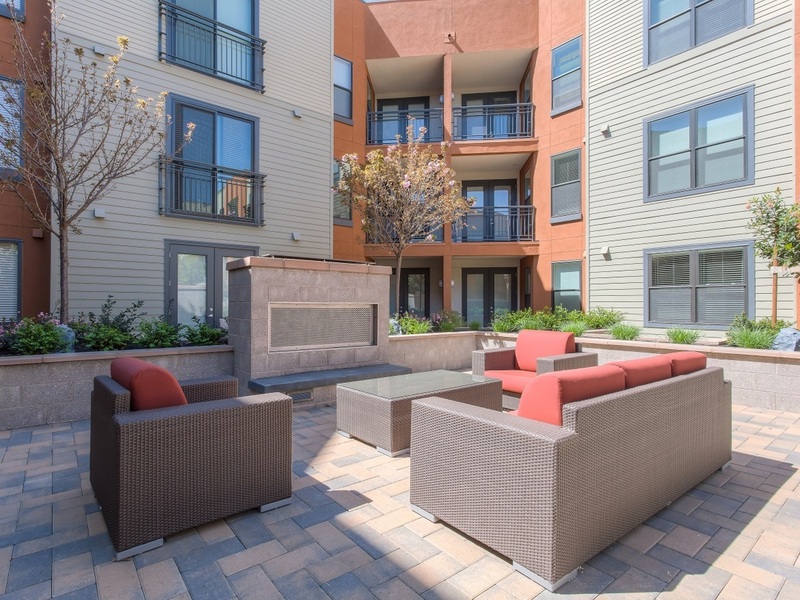 Fireside Lounge – Spend the evening talking with friends as you enjoy the crackle of the fire in the outdoor lounge. 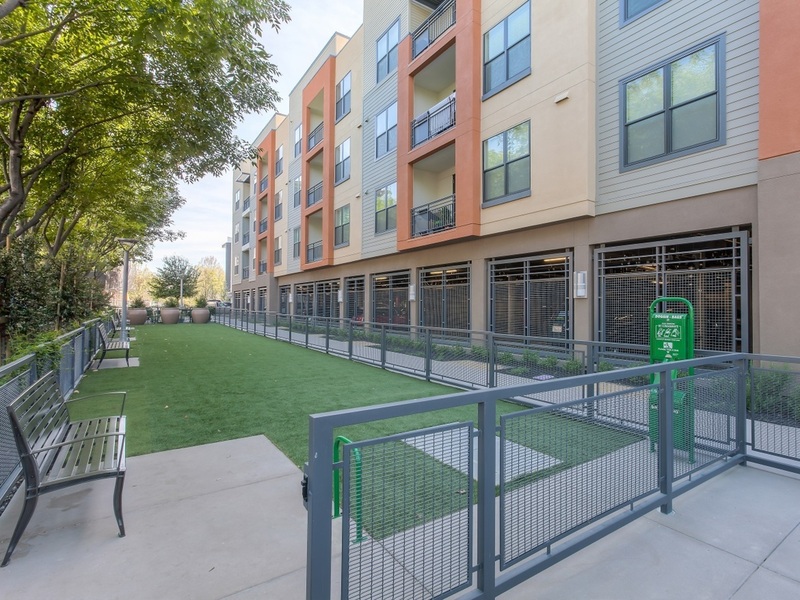 Dog Park – Play games or work on agility training with your four-legged friends at the pet park. 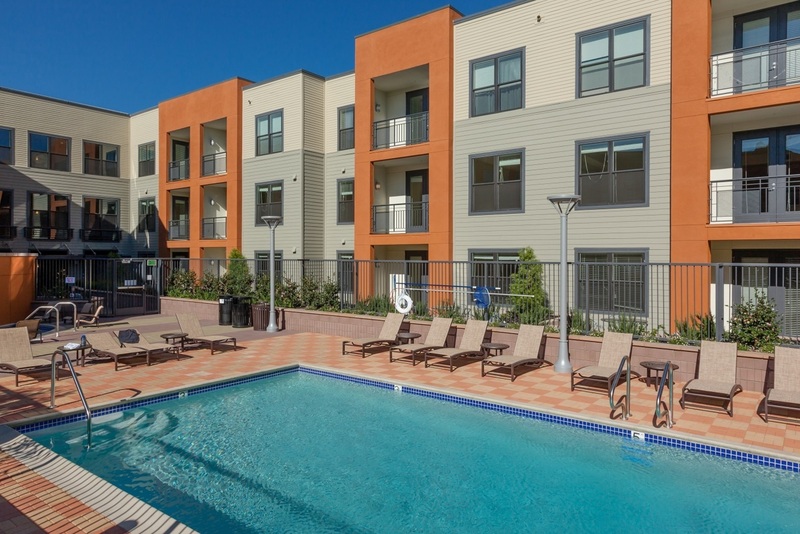 Swimming Pool – The heated swimming pool’s refreshing waters beckon you to take a swim. 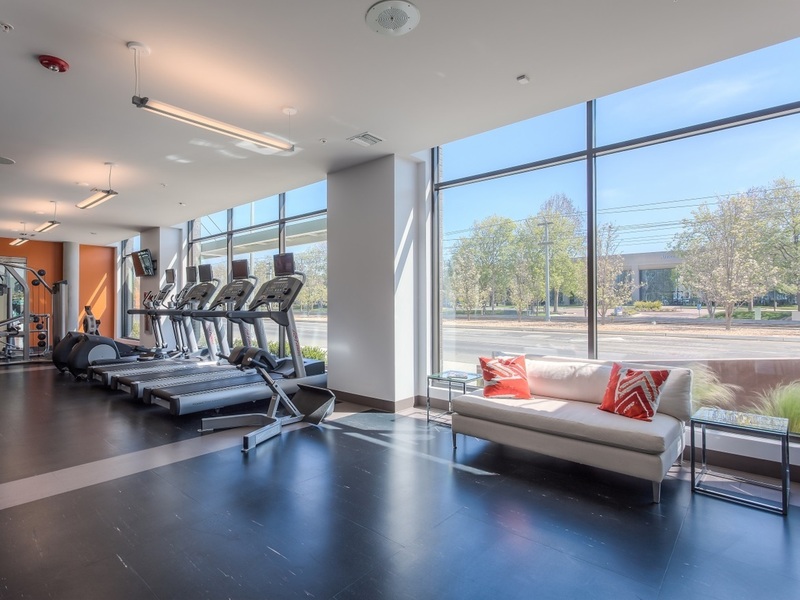 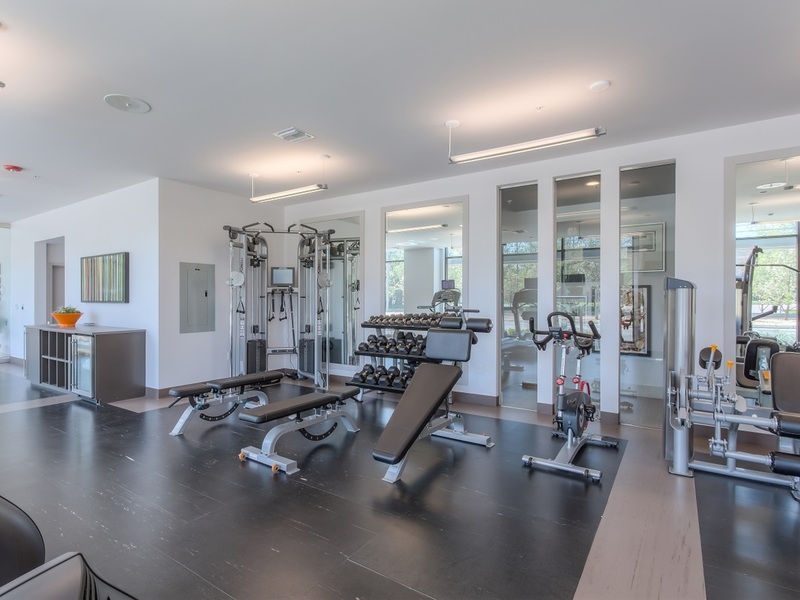 Fitness Center – The twenty-four-hour fitness center with state-of-the-art equipment is always ready when you are. 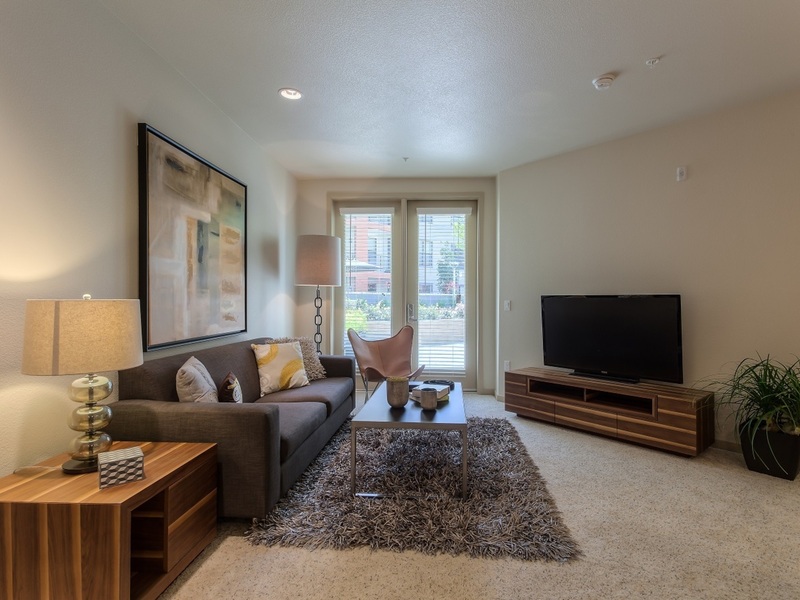 Living Room – Step from the plush carpet of the living room onto your private patio or balcony. 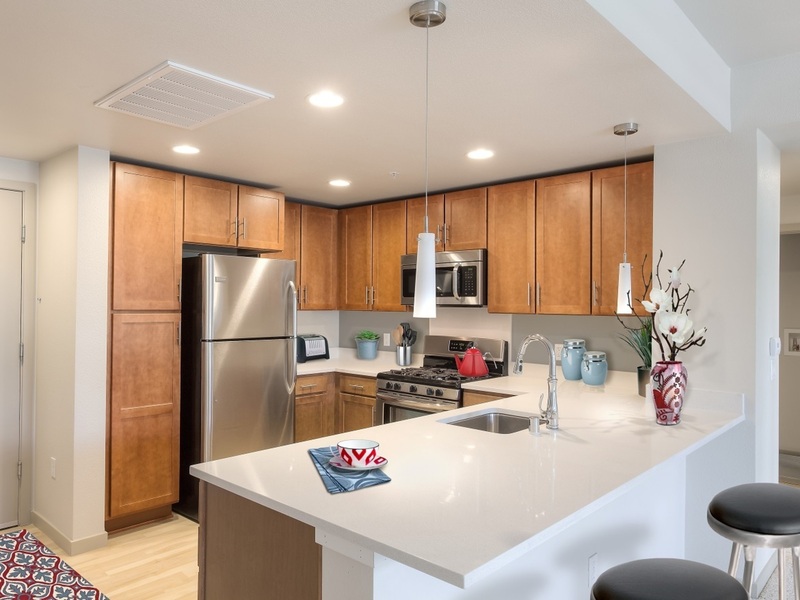 Kitchen – Prepare meals on the extra counter space provided by the quartz-topped breakfast bars available in most floor plans. 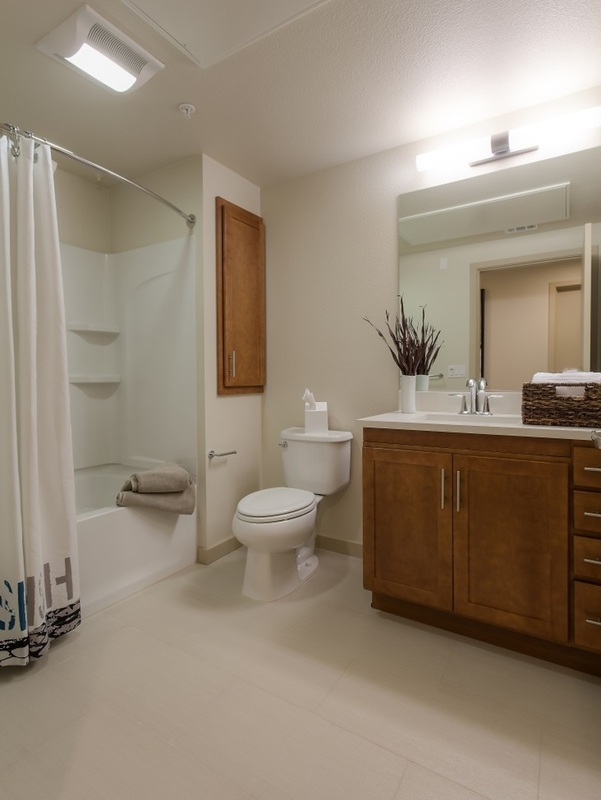 Bathroom – Large vanity mirrors and tile give the bathrooms an elegant sense of appeal. 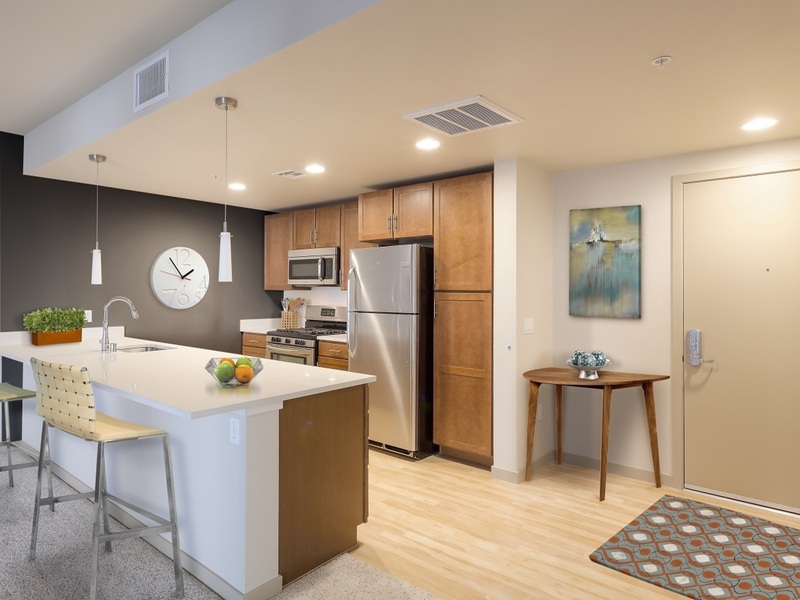 Washer and Dryer – For your convenience, the apts. 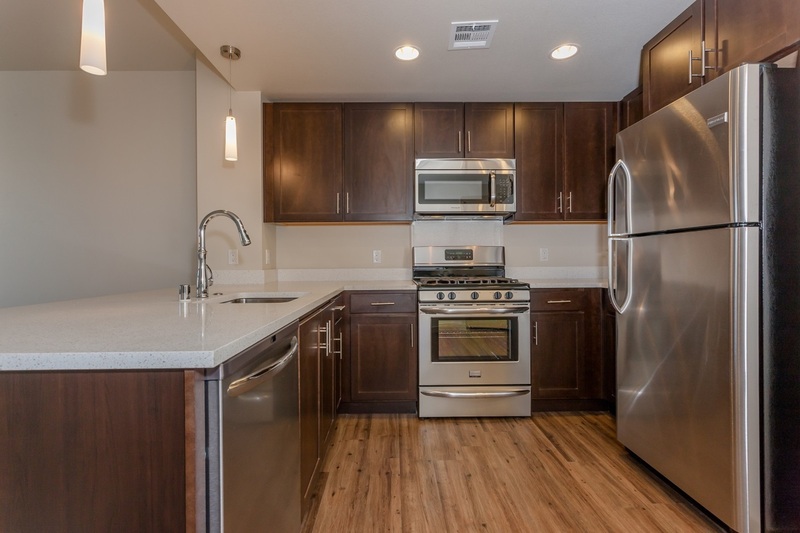 for rent at 121 Tasma all include an in-home washer and dryer. 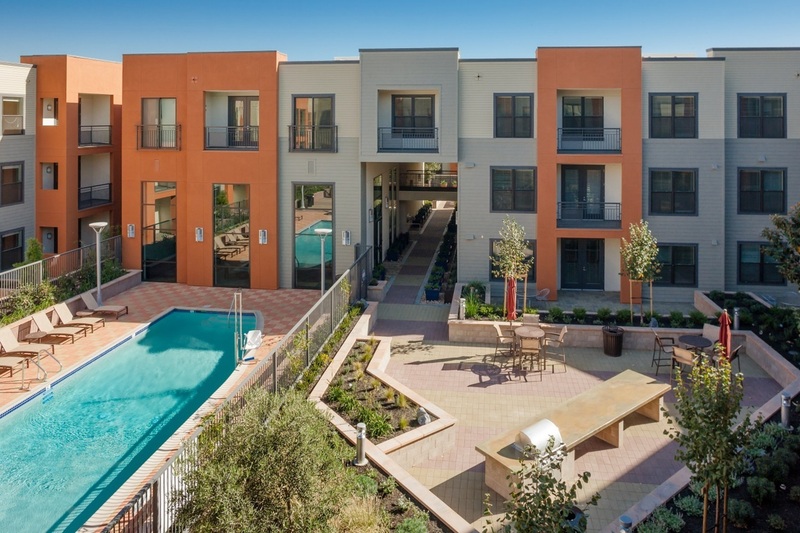 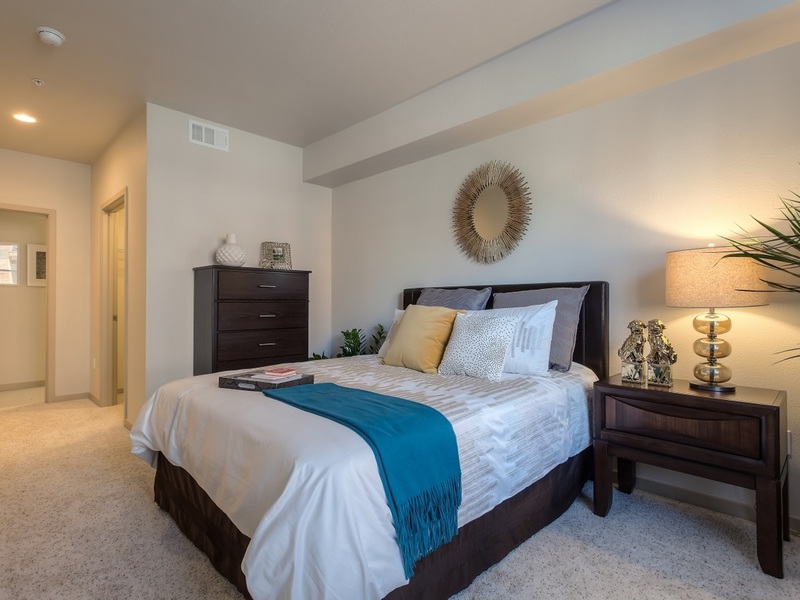 To get the full picture of everything 121 Tasman has to offer, schedule a personal tour of the community now.